Vancouver, BC (November 9, 2017) Building on Hawksworth Restaurant Group’ssuccessful catering program comes its newest venture, Chef’s Kitchen; a catering commissary and Hawksworth test kitchen. Now open in time for the holiday season, the new space houses an expanded kitchen and catering team that looks forward to perfecting any upcoming event, from intimate dinners with close friends and family to corporate Christmas parties, winter weddings or large-scale galas, with the same excellence Hawksworth Restaurant is renowned for bringing to the table. The increased capacity allows for a wider selection of menus and dining styles to meet any palate, event size or budget, as well as shorter turnaround times for bookings. Hawksworth’s classic offerings are still available, while new menu options include late-night snack menus and gourmet twists on beloved comfort foods, from a short rib poutine to Hawksworth’s take on the classic grilled cheese made with sourdough, gruyere and finished with a tomato jam. The space will also allow for more customized menus to complement any event’s theme or concept. Throughout the holiday season, the space will also act as a pop-up Christmas party venue. 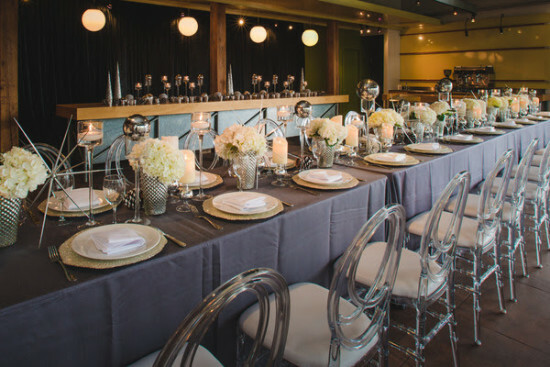 Featuring an industrial chic aesthetic, rustic wood panelling, and floor-to-ceiling windows that fill the room with natural light, the venue offers a uniquely beautiful setting to ring in the festive season with friends, family or colleagues. Christmas packages are available that include multi-course plated, family style menu selections or a fabulous six-course holiday tasting menu, options for canapes, action stations and a full-service bar program, as well as a stunning display of holiday-inspired décor. Coming early spring 2018, Bel Café will also be opening its second location in the front end of the commissary space. Located in the heart of trendy Kitsilano at 1780 West 3rd Avenue, the new Bel Café will welcome guests with the same delicious coffee, fresh pastries and desserts, hearty lunch options and cozy, welcoming ambience that the downtown crowd has loved for the past six years. To discuss options for your next event or learn more of the space, visit www.hawksworthrestaurant.com/events/catering to learn more.